Last episode found Boyd Crowder (Walton Goggins) at a stalemate regarding Preacher Billy (Joe Mazzello), a snake handling Pentecostal preacher eating into Boyd’s criminal enterprises. Still, no deal is made, so Boyd sends some of his men after hours into the church tent, only tolerant the hard way that the snakes used in the service are more than props, they’re a defense system. Boyd loses a man to a vicious snake attack. Meanwhile, it turns out that Raylan (Timothy Olyphant)’s bartender girlfriend, Lindsey (Jenn Lyon), has a past life as a thief. Raylan confronts her ex-husband Randall (Robert Baker) and sets up a six o’clock showdown. 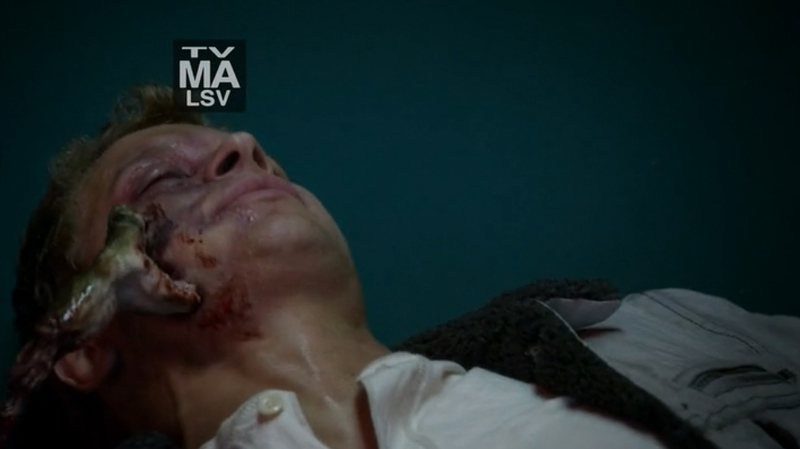 Either he leaves town or Raylan busts him for a parole violation. 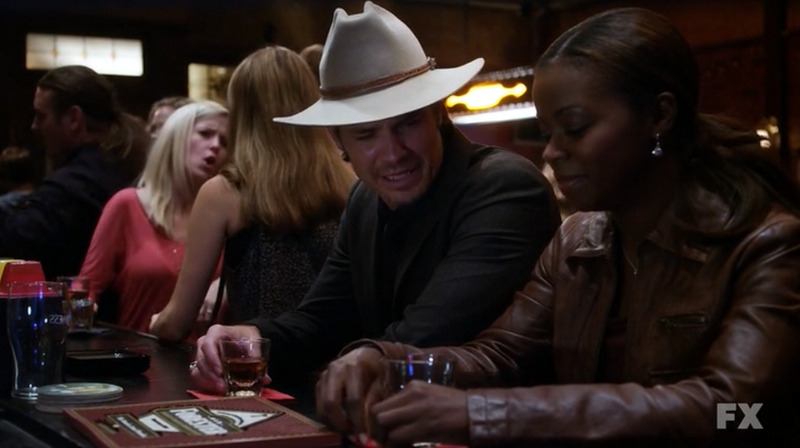 Raylan’s fellow marshal, Rachel (Erica Tazel), gets in trouble for pulling a Raylan type stunt. 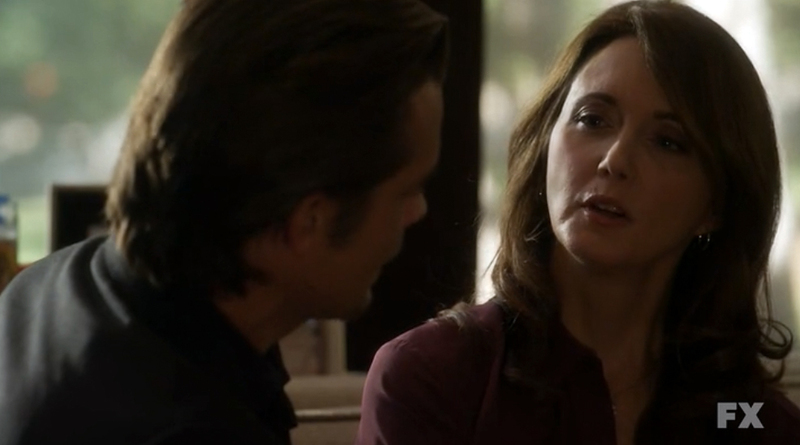 Near the end of the episode we learn that she’s broken things off with her boyfriend, and there’s the ever so slight indication that she might be interested in Raylan. Or am I reading things into this? Johnny Crowder (David Meunier), one of Boyd’s main guys, is making a secret deal with Duffy (Jere Burns) of the Dixie Mafia to kill Boyd. This is Johnny’s big move, and it’s sure to end badly for him. There’s also a big mystery being slowly unwound this season, so Raylan and Marshall Tim (Jacob Pitts) are sent out to interview the ex-wife of the mysterious Drew Thompson, who staged his own death years ago. 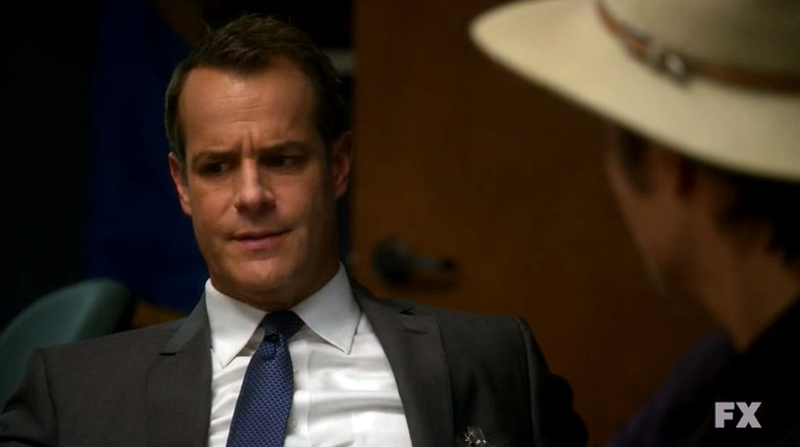 His ex-wife, Eve Munro (Julia Campbell), turns out to be a psychic or “certified spiritualist.” Raylan asks, “Certified by who?” Good question. Turns out though, she actually might have some powers. She knows that Raylan is going to confront Lindsay’s ex-husband at the gym later that day, somehow. She bolts when a dirty FBI agent arrives, only to be taken by Mason Goines (Michael Graziadei), a sadistic psychopath working for big time criminal Theo Tonin (Adam Arkin). It turns out Drew Thompson staged his death after he saw Theo Tonin murder a government informant. The psychic uses her powers to send the FBI agent to a coincidental meeting with Raylan, who confronts the agent just before he pulls his gun and kills himself. Raylan, Tim and a bunch of marshals rescue the psychic, but unfortunately don’t put a bullet into the psycho who was about to torture her. The episode ends back at Preacher Billy’s church, and a another confrontation with Boyd. Boyd provokes a crisis of faith when he delivers to Billy a snake that hasn’t been milked of its venom by his sister. Billy realizes that his sister has been gaming the system all this time, but moved by the spirit, takes Boyd up on the challenge. It goes very badly, and we are left wondering: Will Billy’s church survive this?